mishshell: Featuring- Carly of Rory Unraveled - fresh. modern. raggy. art. 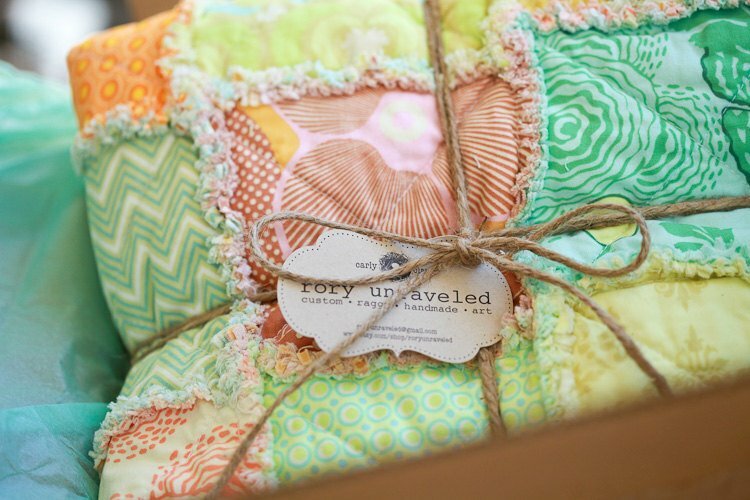 Featuring- Carly of Rory Unraveled - fresh. modern. raggy. art. Hi all, Happy Monday! The weather this weekend was fabulous!! Spent a lot of time outside cleaning up the garden, catching up with errands and watching my son Luke's lacrosse games. Hope you all had a great weekend catching up with your to dos or just getting some much needed R & R.
I'm excited to introduce this week's feature Carly from Rory Unraveled. 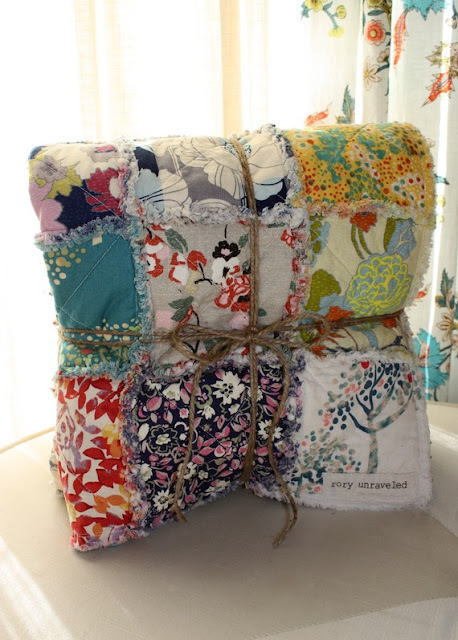 Her quilts are GORGEOUS! I'm in love with color as many of you know and when I came across Carly on Etsy I fell in love instantly! 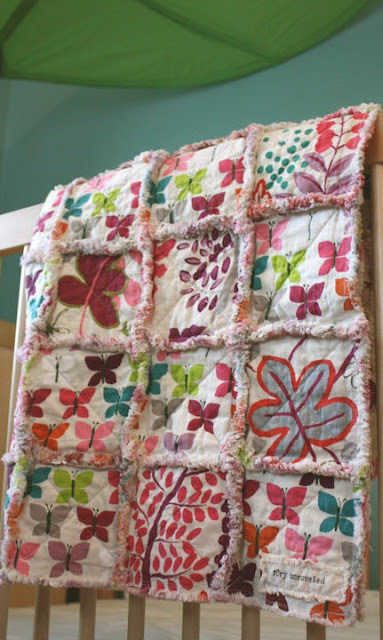 She love's making modern, fun, ONE-OF-A-KIND custom rag quilts. 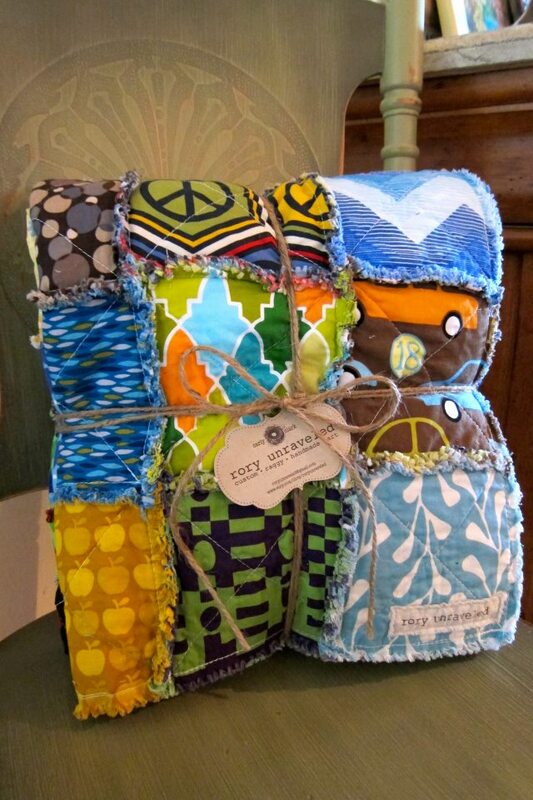 These quilts will have your friends talking when they see her work complimenting your bed, chair, couch.. wherever! What kinds of fabric crafts do you create? Is it just quilts? Currently, I only sell quilts, but because my business generates an absurd amount of scraps ... I'm always looking for fun "scrap-buster" ideas. I love making fabric tutu's for my little girls, patchwork pillow covers, table runners, fabric wreaths and other random projects. It's fun trying new things! I opened my Etsy shop in 2009, but have been sewing since high school. How did you become interested in quilting? A friend was having baby, so I thought I would try to make her a quilt as a gift. It turned out pretty cute! Then I made another quilt for different friend ... that one was pretty cute too! And then I was hooked. Truly ... the fabrics. I am OBSESSED with fabric shopping. One will catch my eye and I can't help but try to make something pretty from it. I also love doing anything custom. It's fun to hear new ideas and collaborate on a new creation. Often times I am forced to go outside of my own personal style, which can result in some amazing quilts! 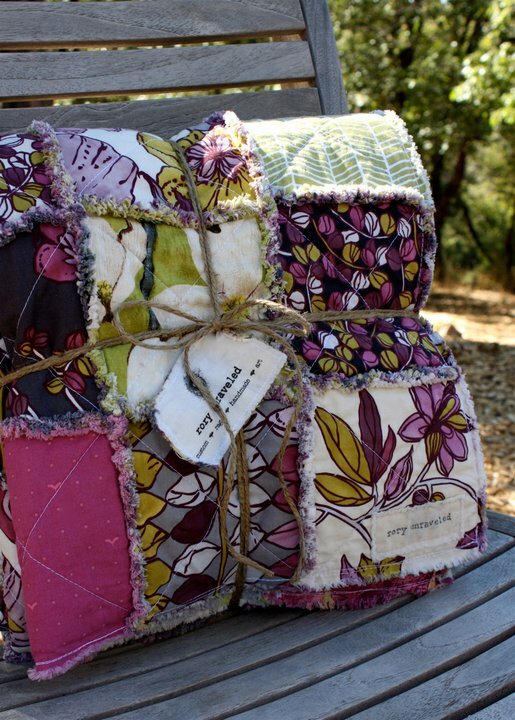 Are you a one-quilt-at-a-time type of person or do you have multiple projects going on at once? At the moment, I'm surrounded by three sewn quilts (which still need snipping and washing), four stacks of cut fabric ready for sewing and a pile of fabric yet to be cut ... all for custom quilt orders. It sounds like chaos, but I have a system and it's actually very organized! 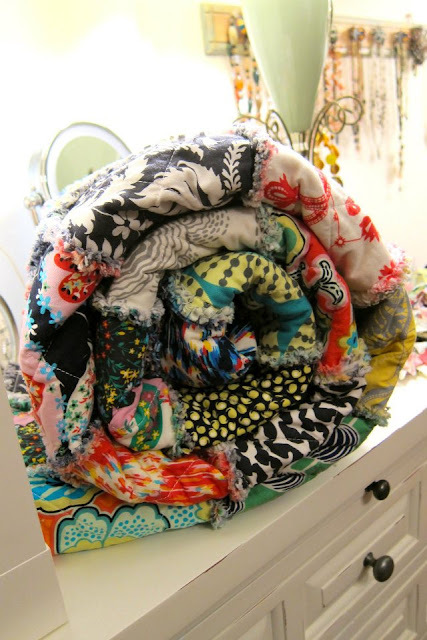 When you are putting your quilts together, do you have something in mind or do you decide as you go? I usually have exactly what I want the quilt to look like in my mind before I start sewing, but it's SO HARD to know how it will look until I have it laid out. That's where I do a lot of adjusting to make sure the quilt has just the right balance to it. I have lots of favorites! My style is very eclectic ... so I like anything bright, funky, bohemian and vintage-inspired. My quilts tend to be pretty "busy" ... but I love the pop of color they add to a room! Where can your quilts be purchased? I do most of my selling on Etsy (http://www.etsy.com/shop/roryunraveled). It's a fabulous place to reach a world-wide market ... 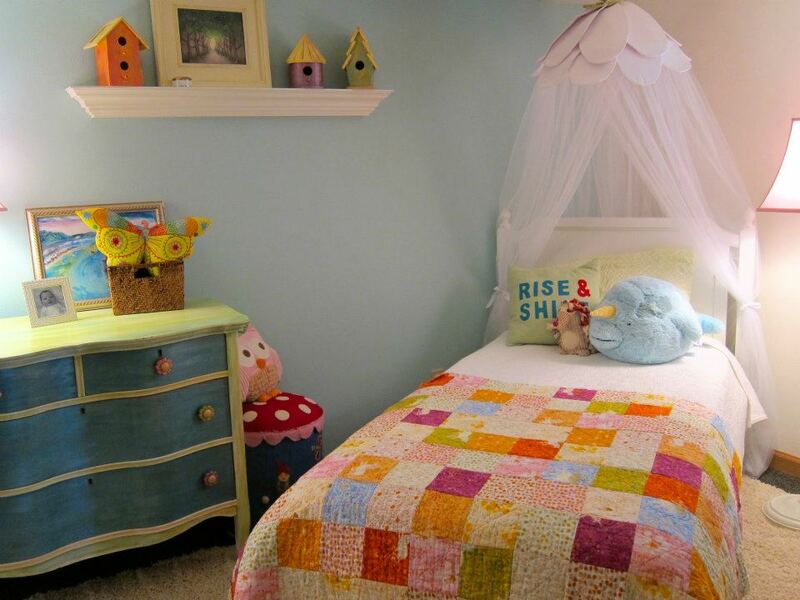 I'm so lucky to have my quilts in homes all over the world. I also recently started selling directly from my Facebook page (http://www.facebook.com/pages/roryunraveled/245319384623). I'm working on my own website and I look forward to having that up and running this summer. 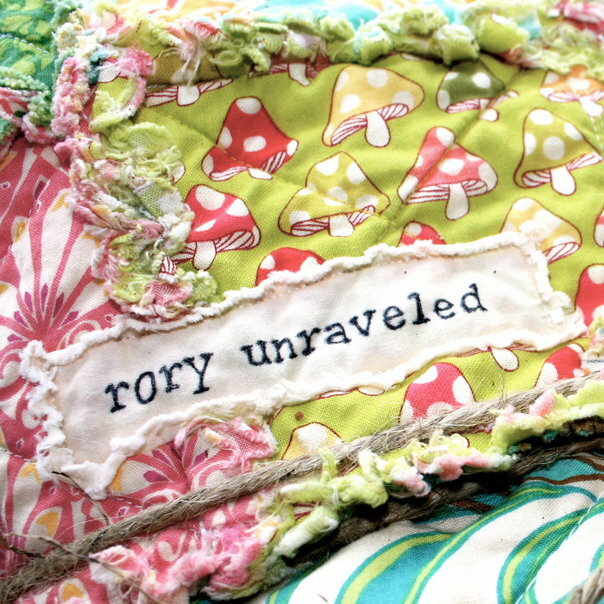 How did you come up with the name Rory Unraveled? My first daughter's name is Rory. 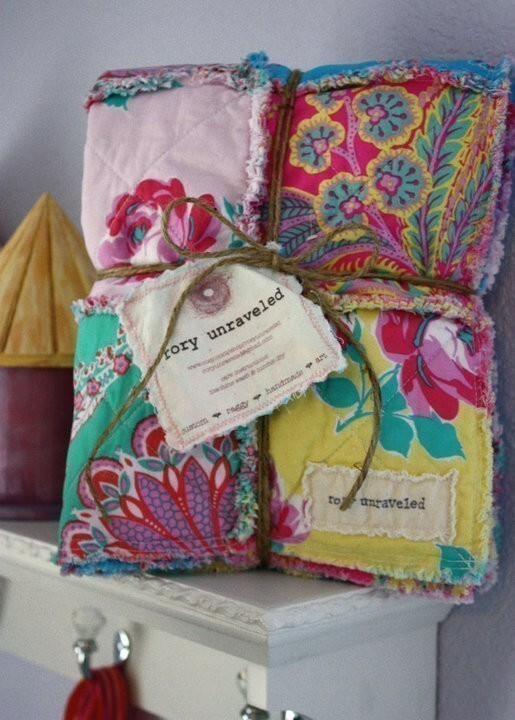 I do mostly rag quilts ... thus the "unraveled" part. I guess I'm going to have to start an offshoot shop with my second daughter's name ... maybe Lily Untangled? She is giving 10% off to mishshell readers - use BLOG10 @checkout. I cant say enough words about Carly's Quality work, and I am very lucky to have had her make my entire family decorative throw quilts and she even went above and beyond to create a matching bed pillow cover for my youngest daughter Carolann. Best to you always Carly, thanxoxox Lori D.